It must have been a nice morning for this beautiful shot! I do know where you are and you must have made an effort to get here! 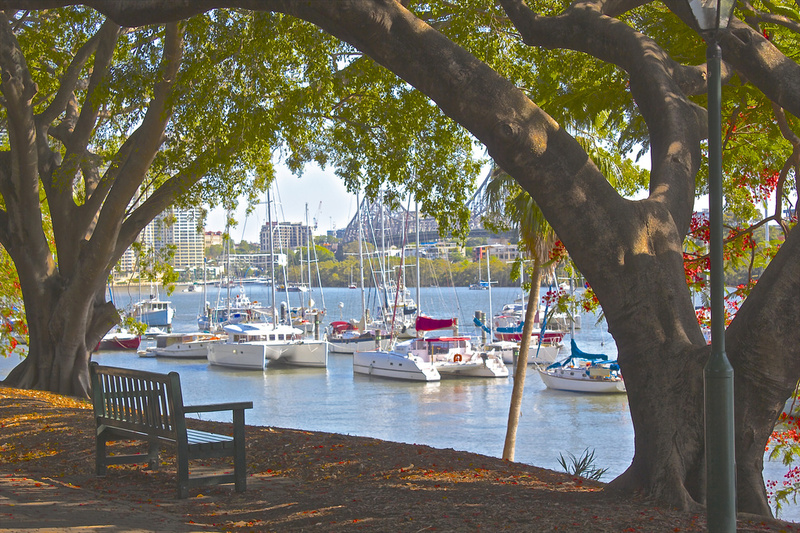 This is so beautifully framed with those trees directing your eye through to the city and Story Bridge. This has such a painterly quality to it. Love the tones and composition. A nice place to sit ^__^ ..watching boats go by. The trees serve as a beautiful frame. Great framing with the trees. Well spotted and a beautiful shot. Now that is one Beautiful Shot! Love it.